Providing a compelling picture of the Chinese experience from the 1920's onward, Mao Zedong and China's Revolutions combines a historical overview of China's Communist revolutions with background information and select writing from Zedong, his contemporaries, and modern scholars. 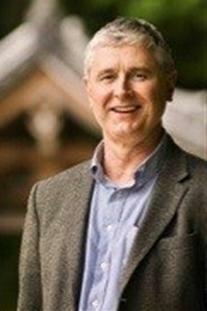 Timothy Cheek is Professor and Louis Cha Chair in Chinese Research at the Institute of Asian Research at the University of British Columbia. His research, teaching, and translating focus on the recent history of China, especially the role of Chinese intellectuals in the twentieth century and the history of the Chinese Communist Party. His books include Living with Reform: China Since 1989 (2006); Mao Zedong and China’s Revolutions (2002); Propaganda and Culture in Mao’s China (1997); as well as New Perspectives on State Socialism in China (1997), with Tony Saich, and The Secret Speeches of Chairman Mao (1989) with Roderick MacFarquhar and Eugene Wu, and China’s Establishment Intellectuals (1986), with Carol Lee Hamrin. 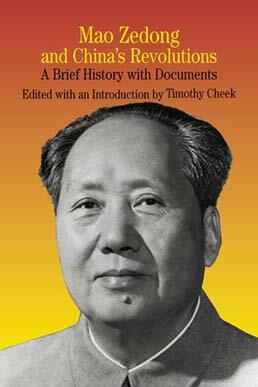 He is currently editing The Cambridge Critical Introduction to Mao. His historical scholarship comes out of the “China centered” turn in the 1980s with a strong focus on inductive research on Chinese contexts, rather than testing comparable theories of modernization or postmodernism. However, he has found Thomas Bender’s approach to “cultures of intellectual life,” or communities of discourse, to be very helpful. In recent years, Cheek has been working with some Chinese intellectuals to explore avenues of communication across our social-cultural divides in order to address the problems of global change that confront us all.